The Central Information Commission on Thursday directed the Intelligence Bureau to provide its report in relation to the false cases filed against IFoS Officer Sanjiv Chaturvedi by corrupt officers exposed by him during his term as DFO in Haryana , ruling that the report does not contain information excluded from the purview of the Right to Information Act by Section 24 which exempts intelligence and security organizations. 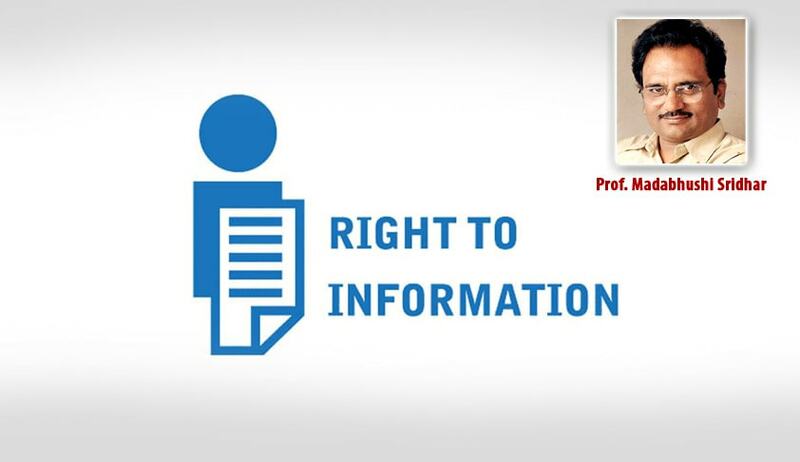 Ordering a certified copy of the report to be provided to Mr. Chaturvedi, Information Commissioner Prof. Sridhar Acharyulu observed, “The public authorities exempted under s 24 cannot use it to stonewall all RTI requests indiscriminately. The IB has a statutory duty to make all arrangements to provide the information other than that concerning ‘security’ and ‘intelligence’ if it pertains to corruption or human rights violation, or useful to prevent corruption or human rights violation, either under voluntary disclosure clauses or other provisions of RTI Act.” The report has been directed to the disclosed by May 6. On the Application by Chaturvedi, the Ministry of Environment and Forest had sought the opinion of the IB, which had objected to the disclosure of the report. Mr. Chaturvedi had then approached the Commission. Demanding the IB Report, Mr. Chaturvedi submitted before the Commission that the report would become very crucial in ascertaining the reality of the harassment meted out to him through the false cases. The CPIO of the Intelligence Bureau resisted furnishing of the report, contending that the same was exempt under Section 24 of the RTI Act. During the hearing, the CIC referred to an earlier report submitted by an Inquiry Committee constituted in 2010 by the Cabinet Secretary. The report had pointed towards Mr. Chaturvedi’s harassment by the Haryana Chief Minister. The report had slammed the authorities for harassing the applicant and had said, “This is a case which shows the level of degradation that has crept into our administrative system. In the said case, a junior officer of an All India Service was harassed through all the means available with the concerned authorities of the State Government, which include frequent transfers, long spells without posting, arbitrary suspension, issuing a fabricated charge-sheet, keeping the charge-sheet pending for long period to stall the promotion, registration of false cases, spoiling the ACR, etc., only for doing his statutory duties.” It noted that in spite of several requests by the Centre, the Haryana Government did not take action against the officials, whose corrupt activities were pointed out by Mr. Chaturvedi. It further noted that in the past, the President of India himself had to interfere four times to rescue the IFS Officer from the harassment unleashed by the political rulers. The President had quashed the charge-sheet filed against him twice, revoked his suspension, and expunged adverse remarks added to his annual report. It hence ruled that the “extreme hardship” meted out to the officer was factually proven. Further, the proviso to Section 24 was taken recourse to, which provides that the information pertaining to allegations of corruption and human rights violations shall not be excluded under Sub-section (1) of Section 24. It hence ruled that the report cannot be claimed to be exempted from the purview of the Act and observed, “The public authorities such as IB and MoEF should understand that ‘exemption under S 24 is not a licence to be secretive or silent on corrupt, unaccountable, non-transparent ignoring all the legal guarantees of right to information under the RTI Act. The exempted organizations are still liable to disclose voluntarily the information under Section 4, also answerable under other provisions of law, amenable to jurisdiction of Information Commissions and supposed to give permissible information subject to Sections 8 & 24, provided the information is not related to core areas of ‘security’ and ‘intelligence’”.